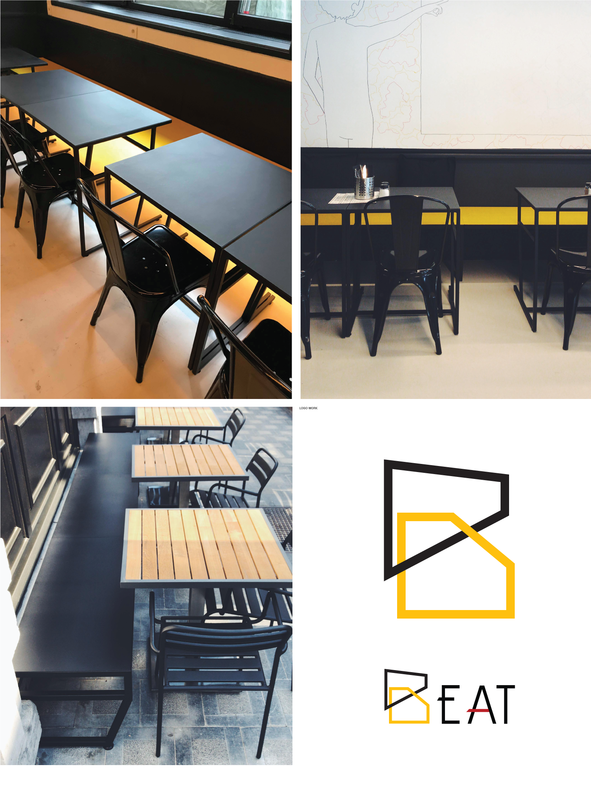 Beat stands for the new Belgian Eating Experience, 3 entrepreneurs upgrading our Belgian food by working with only Belgian products and designers. for this project i worked together with a Belgian interior designer, Ann Kuppens, she was responsible for the interior, i was responsible for the design of the furniture. 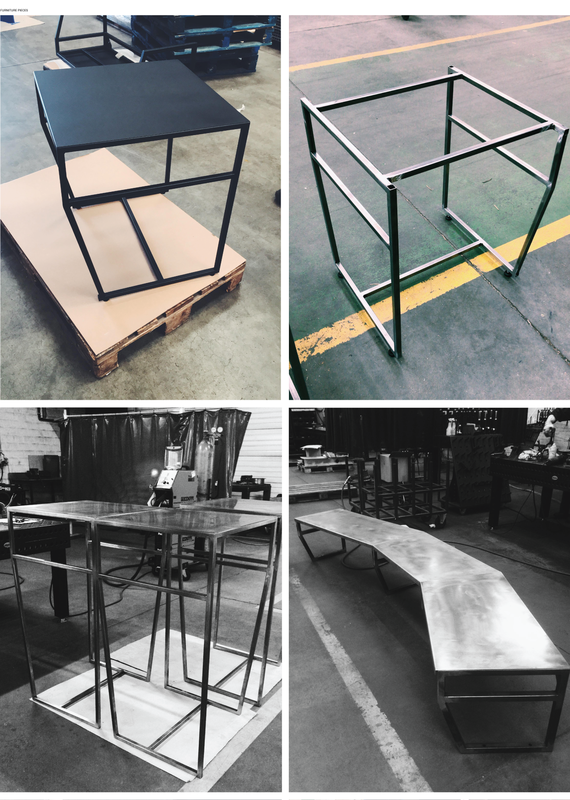 minimal but different – we used thin steel as a base for all the furniture, but we added an abstract B shape in all of the furniture frames. in the tables you can find an abstract B in the lower frame. for the benches we used the same system, only a bit shorter to make sure the people can easily take place on the benches. the benches are made for inside and outside, they use the same B shape and gives the extra opportunity to hang blankets or coats. the benches inside are coated bright yellow. a curved bench for the lounge area finishes the seating part. we designed a big rack to store all glases and bottles, a minimal straight rack to divide the big room in two pieces. the bar continues in the back with a high table, so we can connect people with the working staff at all times. 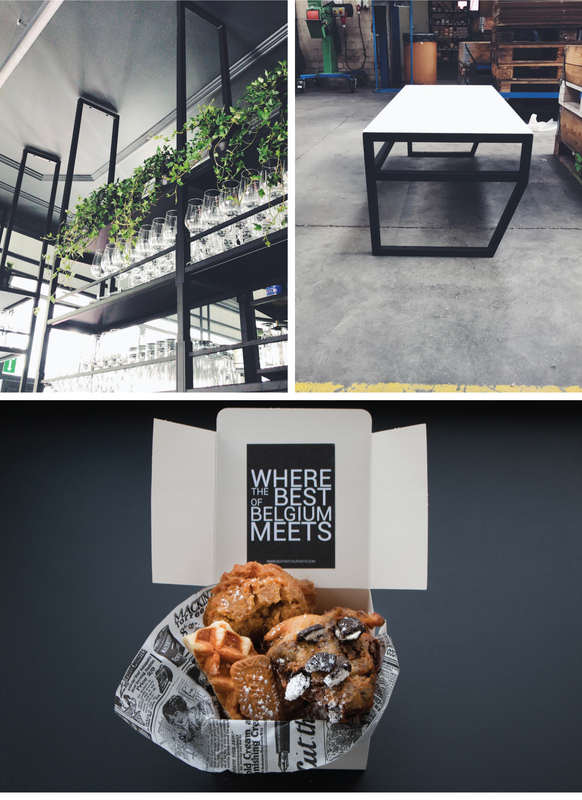 two elegant but strong steel sanitair tables downstairs finishes this project.